I was excited about the announcement this week that the webinars hosted by the Board for Certification of Genealogists are now available on demand. I attended most of these webinars thwen the were offered live, but have been waiting for the one I missed to become available as a recording. I am giving a presentation on Locating Historic Newspapers and with the syllabus limited to four pages I did not have room for links to international newspapers, so I will post them here. Historical newspapers from around the world. Includes many U.S. newspapers. Free Access to over 8 million pages historical newspapers. Includes links other libraries. There are so many genealogy institute courses I would love to attend, but my budget and travel are limited to one per year (other than when I am teaching). I would have loved to attend the "Advanced Genetic Genealogy and Unknown Parentage Cases" course at the Forensic Genealogy Institute, but settled for following the comments the students made on Facebook. As part of my continuing series on genealogy institute courses, my friend Vicki Wright agreed to write a review of this course for others that may be interested. The Council for the Advancement of Forensic Genealogy (CAFG) recently held it's 4th annual Forensic Genealogy Institute (FGI) in Dallas, Texas. I was fortunate to attend the course, Advanced Genetic Genealogy and Unknown Parentage Cases, taught by two leaders in genetic genealogy, CeCe Moore and Angie Bush. As this was an advanced course, students were assumed to have basic, working, knowledge of DNA inheritance patterns, results from a DNA test, and familiarity with the DNA testing companies used in genetic genealogy. Yet this course emphasized, not DNA, but the forensic genealogy skill of researching family trees forward to locate living descendants - also known as reverse genealogy. In genetic genealogy, this skill is imperative to help adoptees, foundlings, and those with unknown parentage, find their biological kin. Course coordinator and instructor CeCe Moore lectured passionately over the 2 ½ days of class, from the general history of adoption practices and laws in the U.S.A., to the personal stories of adoptees, foundlings, and others searching for their biological identities. I was surprised to learn that prior to World War II, adoption records were generally not sealed against adoptees searching for birth parents. I was also dismayed how often a criminal element was part of individual stories, be it black market adoptions, or unethical doctors in donor conception cases. Questions and comments were welcome, and frank discussions highlighted the unique perils and pitfalls involved in working unknown parentage cases. Instructor Angie Bush was dynamic in teaching methodology. Students learned to develop testing plans for different situations, and how to narrow down potential kinship relationships by analyzing DNA results. Many practice scenarios allowed students to apply their knowledge and skills. Ms. Bush was clear the goal of DNA analysis was to identify which family trees to build to find the answer sought. The DNA pointed the way, but the trees solved the cases. Ms. Bush also introduced us to some pretty nifty family tree websites that were new and exciting to most, if not all, in the class. 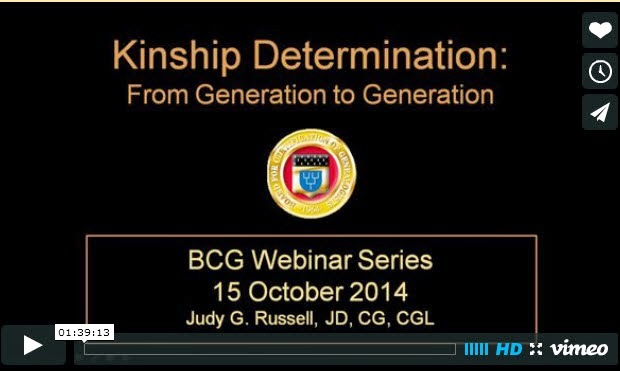 Attend a live or virtual Angie Bush lecture to learn more about them! Forensic genealogy skills were displayed in a deeply effective lecture by CAFG member, Bethany Waterbury. Ms. Waterbury used herself as a case study to emphasize not only how to find online information about the living, but also to show how drastically the information gleaned from various sites can differ. It was an eye-opening and valuable lecture. This course is an asset to the Forensic Genealogy Institute's curriculum, and to my own genetic, and forensic, genealogy education. The instructors had more than DNA and reverse genealogy to teach us. It was clearly important to Ms. Moore that we understood the emotional roller coaster that is an unknown parentage case, and the sensitivity, patience, and professional integrity needed to work these cases. While Ms. Bush continually emphasized that although these cases start with a DNA test, they are only solved by building multiple family trees and working them in every direction. Surprisingly, for a genetic genealogy course, DNA was not the star of the show. The spotlight was kept, unwaveringly, on the individual with unknown parentage, who needs our help. 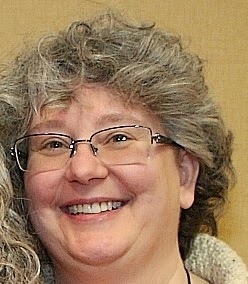 Vicki Wright is a professional genealogist, originally from St. Paul, Minnesota. She is a member of the Association of Professional Genealogists, completed the online Boston University Genealogical Research Certificate program in 2010, is an alumna of the ProGen 11 study group, the National Institute on Genealogical Research (2011), the Institute of Genealogy and Historical Research (2011-2013), the Salt Lake Institute of Genealogy (2012, 2014), the Genealogical Research Institute of Pittsburgh (2012-2014), and the Council for the Advancement of Forensic Genealogy's Forensic Genealogy Institute (2012, 2015). She recently moved to the New York/New Jersey/Pennsylvania border area, so is trying to learn about her new area's genealogical resources and peculiarities, while keeping up with genetic genealogy advances, and working on her BCG portfolio.